Delicious side table in sculptural Nordic design. The table has black lacquered iron frame with a profile of 10 mm and a 20 mm high worktop in lava stone from Mount Etna in Sicily. Available with top in 20 mm smooth polished lava stones. 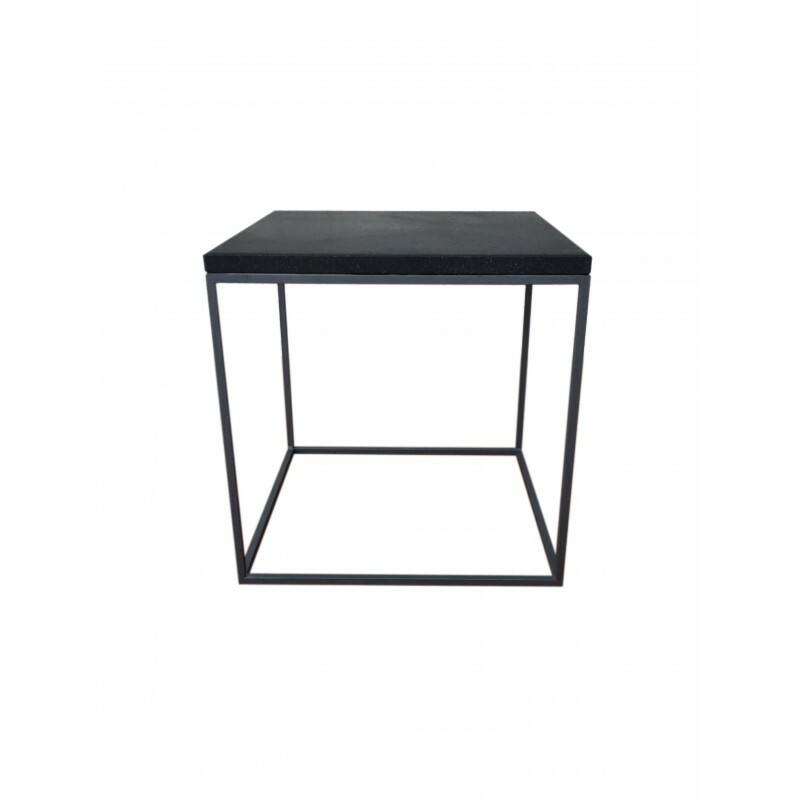 This table expresses the elegant lava stone beauty fit into the Nordic design tradition.